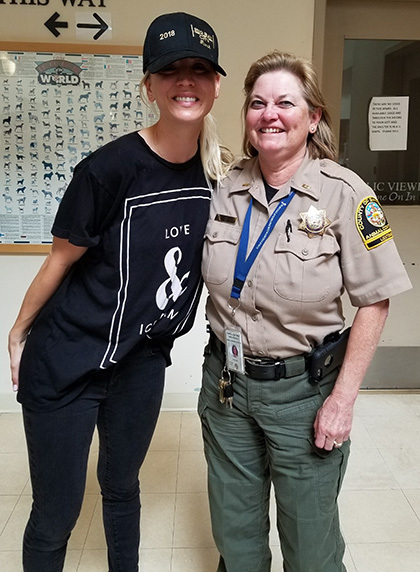 Lt. Kathy Cleveland, Department of Animal Services, stands with actress Kaley Cuoco, who adopted two bunnies.Actress Kaley Cuoco of TV’s “The Big Bang Theory” paid a surprise visit to a County animal shelter on Sunday and adopted two white rabbits. 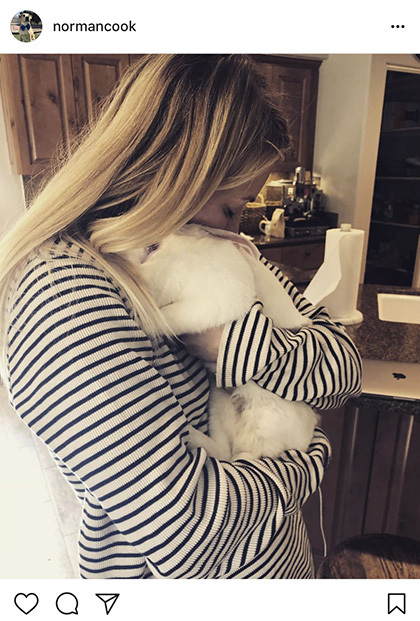 According to an Instagram post by her fiancé, Karl Cook, Cuoco woke up to say she wanted to adopt some rabbits. Cook lives in the North County. He and Cuoco were out and about when they decided to visit the shelter on Gaines Street. Once inside the rabbit area, Cook took video of Cuoco as she was picking out one of her new pets. He then posted it on Instagram. Don’t worry, DAS staff says Cuoco was crying happy tears as she said, “This is the one!” They said she was fine by the time she filled out the paperwork to adopt the animals. The two female rabbits had been at the shelter since Jan. 16. Click to view the Instagram post.Cuoco said she was so glad she came. Employees recognized Cuoco right away. They said the actress, who plays the character Penny on “The Big Bang Theory,” was very nice and agreed to take photos with the staff. She, in turn, thanked them for being fans. 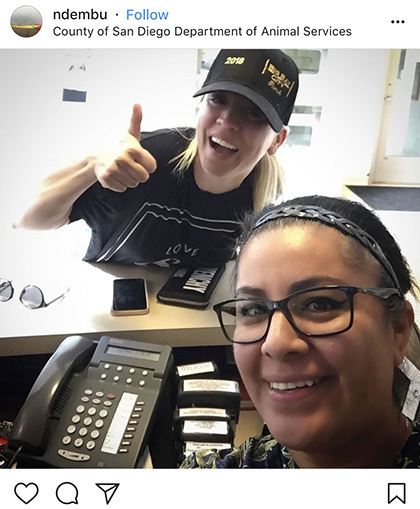 Department of Animal Services employee Yesenia English poses with Kaley Cuoco. Department of Animal Services employee Marina Daniels poses with Kaley Cuoco.